The Financial Conduct Authority has made enquiries into currency transfer firm Revolut after being contacted by a whistleblower, the BBC has learned. The ex-employee told the FCA in 2016 about concerns they had over compliance and the conduct of the firm's chief executive, Nikolay Storonsky. The FCA informed the whistleblower via email that "our investigation is now coming to a close", a year later. Revolut told the BBC this is the first it has heard of the complaint. The financial technology company bills itself as a "digital banking alternative", although it does not have a UK banking licence. The firm does have an e-money licence which allows it to operate. The company provides app-based accounts to millions of customers and allows users to trade crypto-currencies and convert cash for spending overseas. However, the company's rapid growth created tension over compliance between staff and Mr Storonsky, according to a series of former employees who have spoken to the BBC. The BBC spoke to a whistleblower who went to the FCA in 2016 with concerns about some of the company's anti-money laundering processes. They told the BBC that among other allegations made to the FCA, they believed money-laundering checks were not being properly applied for select customers. The former employee said they told the FCA that they believed systems for flagging suspect payments were not good enough, and that this behaviour put strain on some of the company's banking partners and staff. "Those systems were utterly inadequate," the whistleblower said. 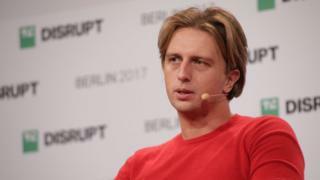 The BBC spoke to a number of Revolut employees who worked at the firm before 2018. They all corroborated the whistleblower's testimony that there was conflict over compliance issues between staff and the chief executive. One former member of the compliance team, who asked not to be named, told the BBC that new staff believed they could improve compliance at Revolut, but many would become disillusioned once they started working at the firm. "Candidates would come in for the head of compliance job and be told that compliance was being run by incompetent people previously, then they would get the job and realise that the problem was the leadership. They wouldn't listen," they told the BBC. "The CEO refused to listen to the compliance team," another former employee agreed. The BBC understands that in the past three years, Revolut has seen the departure of two chief risk officers, two money-laundering reporting officers, a chief compliance officer and a chief finance officer, among other roles. Revolut has denied that advice from the compliance team has ever been ignored. The FCA confirmed to the BBC that it required Revolut to take specific actions following the enquiries it made after obtaining information on the company. "It is for Revolut to comment on the specifics as it is not our policy to do so," a spokesman told the BBC. However, Revolut would not say what the FCA had asked it to do. But, in a statement, the company said: "Any suggestion that our CEO… ignored the advice of our compliance team in 2015 or thereafter is categorically untrue. "This is the first time that Revolut has been made aware of any such complaint, which appears to have been made by a former employee who left the company several years ago. "Our compliance procedures are and always have been overseen by an executive risk committee in consultation with our senior compliance staff members." In February, the Telegraph newspaper revealed that in the summer of 2018, Revolut disabled a system designed to automatically halt transactions to individuals who matched against sanctions lists. Such lists contain the names of individuals whose assets have been frozen and include those connected with chemical weapons violations, as well as members of the Islamic State. Revolut said that it did not stop checking transactions for compliance last year. The company's lawyers drafted a letter to the FCA about the change, but in the end the letter was never sent. This draft letter was later leaked to journalists. In the letter, which the BBC has seen, Revolut lawyers stated that the company's head of compliance technology changed systems so that transactions that potentially matched against sanctions lists were not halted. Instead the system flagged the transaction for inspection but still allowed it to go through. According to the draft letter, an employee came to the company's board of directors "expressing concern" about the flagging system. This resulted in an investigation by the board and the transaction-halting mechanism being turned back on by mid-September, the letter states. The letter says that: "The investigation concluded that the original decision to turn off the transaction-halting mechanism was erroneous and implied a remediable systems and controls failing." It also states that "to the best of Revolut's knowledge there has been no breach of law with respect to sanctions requirements". The BBC understands that the leaked letter is now being looked at by the FCA. On the issue, Revolut wrote to the BBC that: "At no point did Revolut stop checking transactions for sanctions compliance last year. Nor was there any failure in our sanctions screening procedures. "In July 2018, we were conducting a trial of a new sanctions screening system that would go above and beyond the industry standard. "During that trial, we experienced an issue whereby a greater number of transactions were being flagged for further checks than necessary, so we decided to pause the trial until this could be rectified. Throughout this process our original compliance system was running in parallel." Charlie Delingpole, founder of ComplyAdvantage, a company that makes systems to prevent money laundering and sanctions breaches, told the BBC that transaction-halting should never be turned off. "Companies simply cannot afford to allow payments through to those on sanctions lists. It's by far the most serious failure of duty because the people who benefit tend to be those complicit in the very worst, state level crimes. "Allowing funds through and then checking afterwards is not good enough. The sanctioned groups and individuals will have got their money and you'll probably never get it back. It'll be a case of shutting the stable door after the horse has bolted."